Multi-instrumentalist Marcus Tenney is a relentless musician. 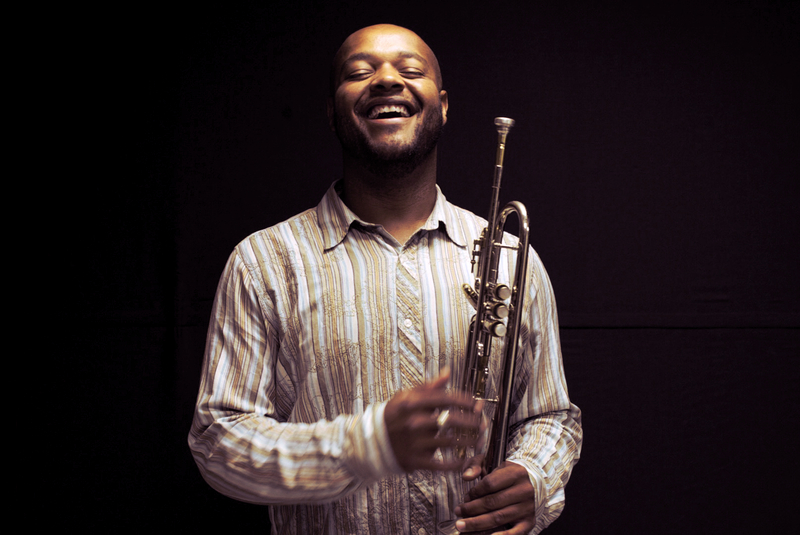 He plays saxophone and trumpet in Richmond powerhouse acts Butcher Brown and No BS! Brass Band, tours with indie-duo Foxygen, and records hip-hop records under the name Tennishu, among other things. And tonight, one of his lesser known, but equally impressive projects, the Marcus Tenney Quartet, will release a new set of recordings on Richmond record label American Paradox’s cassette series “RVA Jazz Tapes”. The album, Moment, consists of four straightforward jazz pieces that recall jazz classics of the 50s and 60s like Miles Davis’ Kind of Blue, or John Coltrane’s Giant Steps. The quartet features Tenney on trumpet, Alan Parker on guitar, Billy Williams on drums, and Andrew Randazzo on bass. Moment was recorded live at the former American Paradox studio on the Maggie Walker museum block in Jackson Ward. “It’s cool to play jazz in a historic area, it was like the cherry on top,” said Tenney of the recording session. The influence of hard bop on the recordings is apparent, but there are discernible elements of fusion, rock, and hip-hop throughout the recording that make this more than a throwback. “Sometimes the walls between genres are very fluid,” Tenney said. Occasionally, the jazz ensemble will lock into a repetitive groove that resembles a hip-hop bar before breaking into a loose melody, and Williams’ drumming ranges from frenetic jazz tapping to straight-ahead rock rhythms. The mixing of styles is subtle, and to this listener, it sounds very natural and unambitious. The ideas flow effortlessly from one to the next. Tenney said that the compositions on Moment were partly inspired by a piece called “Was” by jazz guitarist Adam Rogers. Rogers is a prolific musician who has played alongside John Zorn, Norah Jones, and Bill Evans, to name a few. “Was” begins with a simple, repetitive theme. As the song progresses, the musicians begin to expand on the original theme until it is almost unrecognizable. “There’s a couple songs that are inspired by that kind of writing and that type of thinking, of just taking one simple thing and having everyone get creative with it,” Tenney said of Moment. The third track on Moment, “Loss”, was partially inspired by John Coltrane. Tenney said that his favorite Coltrane records are from his transitional phase between straightforward hard bop and the spacey free jazz he recorded near the end of his life. “I like the powerful sound that he had at the end, but when he was still playing compositions that were easily recognizable,” said Tenney. The Marcus Tenney Quartet will kick off their cassette release party for Moment at Vagabond tonight at 9 p.m.